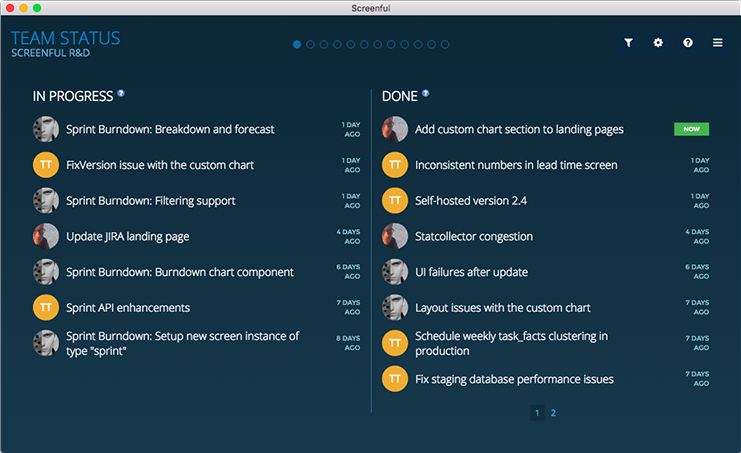 Screenful brings you a carefully selected set of metrics to keep your team informed of its progress. Get a quick overview of your project status on your smartphone or tablet. Maximize the feedback that your team gets by installing a large visible display. Provides a quick overview on things that the team is currently working on. What’s in progress? What was recently completed? Is something blocked? Pick the lists you want to display and set it up to the office TV for everyone to see. 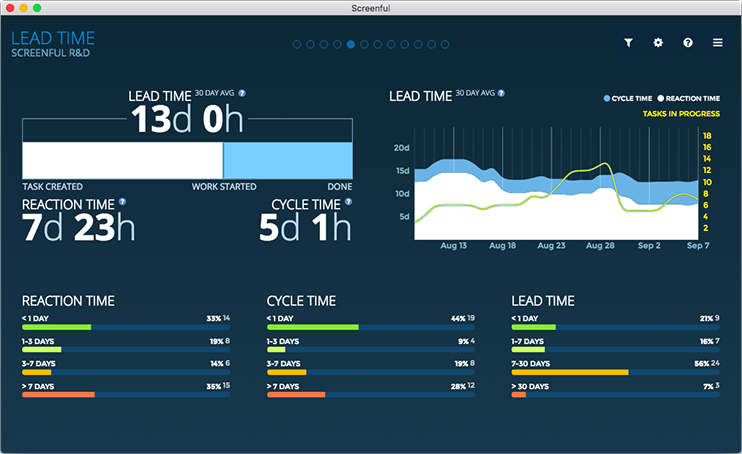 Track your team’s lead and cycle times to understand how quickly tasks are completed since they were created or once work was started. You can filter the data according to story type so that you can track a specific aspect of your work such as features, bugs, or chores. 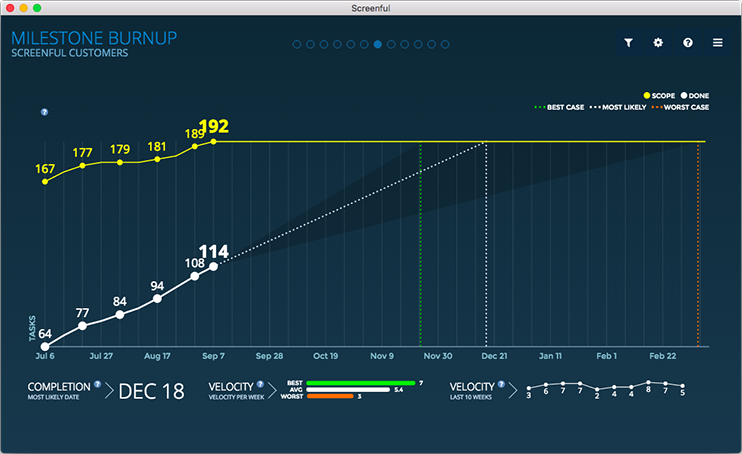 The milestone burnup chart allows you to track your progress toward a Pivotal Tracker release. The chart consists of two lines: a yellow line representing the project scope, and a white line representing the work done. As time progresses, the white line approaches the yellow line helping you to see how much work is still to be done.